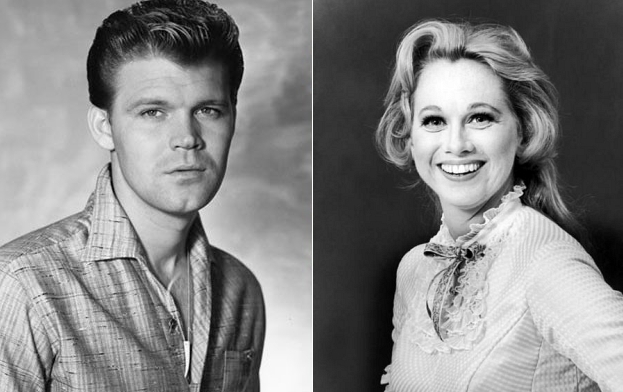 Yesterday we lost two icons of American Popular Song, guitarist extraordinaire Glen Campbell and Broadway star Barbara Cook. Rather than repeat the obituary news you’ve already read, we’ll try to encapsulate their respective lasting impact on the Great American Songbook. Barbara Cook, the legendary Broadway songstress, is the easier of the two. Quite simply, Cook played the original female leads in a number of shows at the end of the golden era, and defined how those roles and songs have been performed ever since. These include the part of Cunegonde in the original 1956 production of Candide, and Marion Paroo in the original 1957 production of The Music Man. The lights will be dimmed for a full minute on the Great White Way in her honor this evening, and deservedly so. …and of course Pet Sounds, the Brian Wilson classic from 1966. And these are just the ones we’re able to specifically document; music fans go back-and-forth on whether Campbell played lead or rhythm on other classics, including Wayne Newton’s “Danke Schoen.” While these are virtually impossible to verify, fact is he was present at a lot of sessions involving Phil Spector, Hal Blaine, Jim Seals, Rick Nelson, and almost anything credited to producer Jimmy Bowen. Through much of this session work, Campbell was often teased by his hip, fellow musicians for being a hick, but within a few years he was one of the leading faces of pop music thanks to a stream of hits and a hugely successful television show. Perhaps it’s best to remember him as an all-around entertainer. Somewhere today a young guitarist is figuring out chords to a 1960s classic. He is unable to read music, but it flows through him, and he gets it. He doesn’t seem likely to be a star, but his playing is such that he won’t be held back. And somewhere else a young woman is preparing for a high school musical, carefully shaping the part of Marian the Librarian. She’ll add her own flair, but it will be tempered with a performance style that dates back to 1957. And her voice will soar.